HOW DID YOU COME TO WORK AT BLOC HOTELS? I discovered BLOC Hotel when searching for a job in a fast-paced customer environment. I had previously worked for a hotel chain and thought it was not for me, but the BLOC brand came across unique and different to any other type of hotel I had seen before. HOW DOES HOTEL WORK DIFFER TO OTHER JOBS YOU'VE HAD? 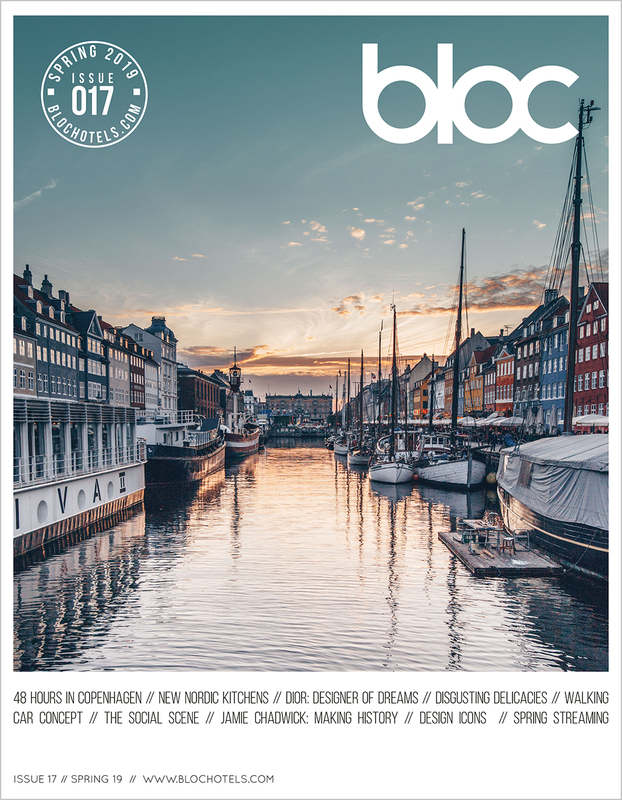 While working at BLOC Hotels, it has given me an insight into how a different type of hotel chain runs while being in the busy airport environment. It gives you the opportunity to meet such a large variety of people from all over the world with a vast amount of personalities. I really enjoy this aspect of hotel work because it allows the chance to hear different stories from different countries. WHAT QUALITIES ARE IMPORTANT TO EFFECTIVELY MANAGE A SHIFT? Always seem approachable. This is either to your staff or the guests. If you come across in an approachable manner it will make the shift more enjoyable and it is easier to communicate with everyone. Be positive no matter what. Working in a hotel, especially one in the airport, it sometimes throws up situations which you have not come across before. This requires you to stay positive for the best outcome, whatever the scenario or situation. The last is confidence. In order to manage a team, hotel and a huge number of guests you need to have confidence within yourself and the decisions you make on shift to show you are in control. The biggest challenged I have faced is becoming a manager. I originally started as a receptionist, then shift leader, guest relations office and now I am reception manager. This is the biggest challenge I have faced because I know not only have to ensure I am acting accordingly and doing my job to the best of my abilities. I now have to project that on to a whole team as well. I have a number of people to look after at a work level and then of course at a personal level too. This is very challenging but at the same time very rewarding as you gain insight into other peoples personalities and their work ethic too. My biggest inspiration is my mum. Growing up without a dad she acted as both my parents, while at the same time caring for my 5 other siblings as a single parent and working a full-time job. She showed me how to be compassionate to every living being and animal. How to be caring, loving, motivating and always told me to follow my heart and dreams no matter what. WHAT HAS BEEN YOUR GREATEST ACCOMPLISHMENT AT BLOC? My greatest accomplishment at BLOC is probably becoming employee of the year for 2018. I have now been here for 3 years and I am currently on my 4th position. So getting the employee of the year award really shows that BLOC recognises hard work and dedication where it is due. YOU MUST HAVE SOME MEMORABLE INTERACTIONS WITH GUESTS? Working at a hotel in the airport really lets you met some extradentary people. One guest who stays regularly and I email regularly, has told me many stories of him travelling to failed states and countries where you need a visa from the military in order to gain access. Along with his travels brings great insight into how poorer or less fortunate countries operate compared to ours. This brings myself the keen insight to learn about the wonders of our world.